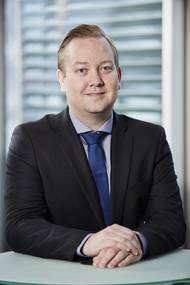 Maersk Tankers has appointed Morten Mosegaard Christensen as its new Chief Financial Officer (CFO).Christensen joins Maersk Tankers from Danske Bank where he serves as interim CFO and Chief of Staff. Previously, he has held leadership positions at Danske Bank, including Head of Group Finance and Head of Group Financial Management.He has long experience in finance in areas such as performance management, tax, cost control, accounting, business intelligence and capital management. 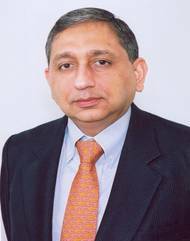 He has also worked in strategy and business development at a senior management level. Tideworks Technology Inc., a full-service provider of terminal management and planning software solutions, has introduced Tideworks Insight, a real-time and historical data platform. The new product is now in operation at Manzanillo International Terminal (MIT) in Panama after a successful beta partnership, and is available for implementation at other terminals. “We are thrilled to add Tideworks Insight to our list of product offerings,” said Michael Schwank, president of Tideworks. Ryan Petersen and his Flexport team are seeking the help re-write the global logistics playbook. Ryan Petersen is the founder and CEO of Flexport. He is also the founder and ex-CEO of ImportGenius.com, the largest provider of business intelligence to the import-export industry. Armed with an MBA from Columbia and a B.A. in Economics from UC Berkeley, he is also a licensed customs broker and freight forwarder, with his built company squarely around an online dashboard backed by leading venture capital firms like Founders Fund, Google Ventures and Bloomberg BETA. The Marcura Group, a Dubai-based group of companies focused on providing business solutions to the maritime industry, announced the launch of MarDocs, an innovative, cloud-based collaboration tool. Charterers find themselves with ever-growing numbers of fixtures that refer to “as per last” without being under proper document control. Increasing governance requirements makes it critical to convert the fixture process into a highly structured, compliant and legally controlled documentation process, but without delaying or confusing the fast-paced freight brokering work. Descartes Systems Group, a leader in uniting logistics-intensive businesses in commerce via the Global Logistics Network (GLN), announced that it has acquired Datamyne, a provider of cloud-based trade data content solutions for customers to analyze import and export trade activity. Datamyne, primarily operating in the U.S. and South America, collects, cleanses and commercializes logistics trade data from over 50 nations across five continents, including key markets in North America, Latin America, Asia, Africa, and the European Union. FleetWeather Ocean Services, experts in business intelligence and analytics for the commercial shipping industry, today opened its doors under a new name and new brand: Accuritas Global Solutions…A business intelligence and analytics company. Executive Vice President Jess Hurwitz announced the name change reflecting continued focus and growth in providing industry-unique business intelligence, analytics and consulting services, and expansion from working within the commercial shipping industry to other modes of global transportation. The new name is effective immediately. 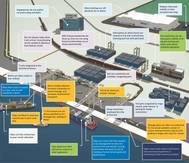 DNV GL’s new LNG intelligence portal (LNGi) aims to bring stakeholders from across the LNG industry together to share market intelligence and contribute to the uptake of LNG as a ship fuel. Leading LNG suppliers and engine manufacturers including, Shell, the Marine division of Rolls-Royce and MAN will be some of the first companies to use LNGi. The portal, which was launched today, allows subscribers to assess the availability of LNG fuel for specific trade routes and newbuild projects. Despite industry gloom about the offshore market, orders for production floaters continue to flow. Over the past few weeks a speculatively-ordered FLNG found use off Africa, negotiations began to convert a third LNG carrier to an FLNG, an FSRU was ordered and a modified LNG tanker has been leased for storage use. Looking forward, we are tracking 30 projects considered likely to generate contracts for floating production units over the next 18 months. Among the likely awards are 18 FPSOs, 2 production semis, 5 LNG liquefaction or regasification units and 5 FSOs. Elektrans Shipping, part of the Elektrans Group have selected and are now implementing the Web based integrated fleet management system, Marine Asset Management System (MAMS). The system, offered by global SDSD Group, a well-known reputable maritime software provider since 1983, is being adopted by the Elektrans Group shipping arm throughout the entire Elektrans fleet and its global offices. The Elektrans Group recognizes the synergies and benefits of implementing the MAMS ship management software for their global, and expanding, shipping operations. The directors of SHIPPINGInsight today announced that U.S. Merchant Marine Academy professor Capt. David Moskoff has agreed to be a special guest speaker at the 2015 Fleet Optimization Conference & Exhibition. The annual event takes place Oct. 13-14, at the Marriott Hotel & Spa in Stamford, Conn. A special area of focus for this year’s SHIPPINGInsight event is ship telematics, and Capt. Moskoff, an acclaimed expert on cyber security in the maritime industry, will kick-off a roundtable Oct. Capt.